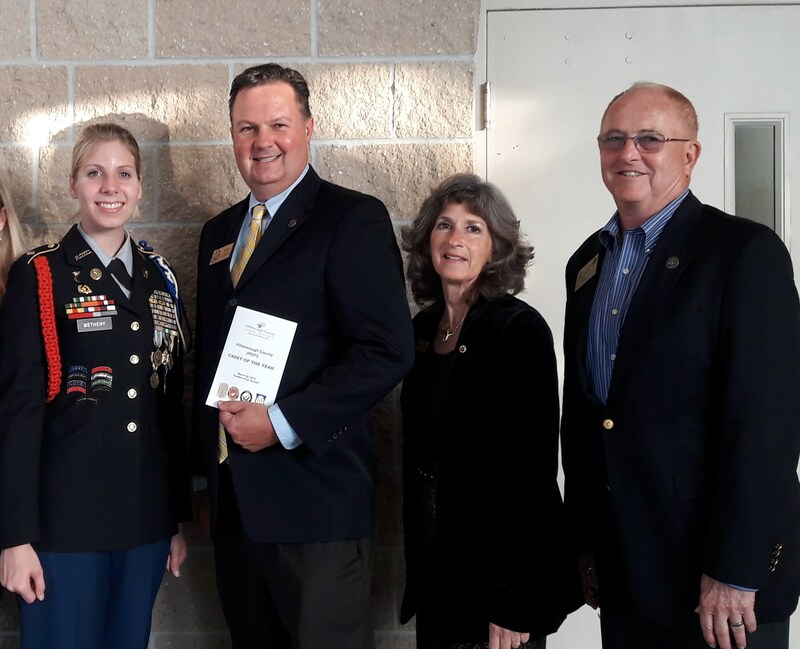 AUSA Suncoast Chapter President Eric Lien and JROTC VP Toni Gross attended the Hillsborough County JROTC Cadet of the Year Ceremony held at Freedom High School, Tampa, FL, Thursday, March 28, 2019. 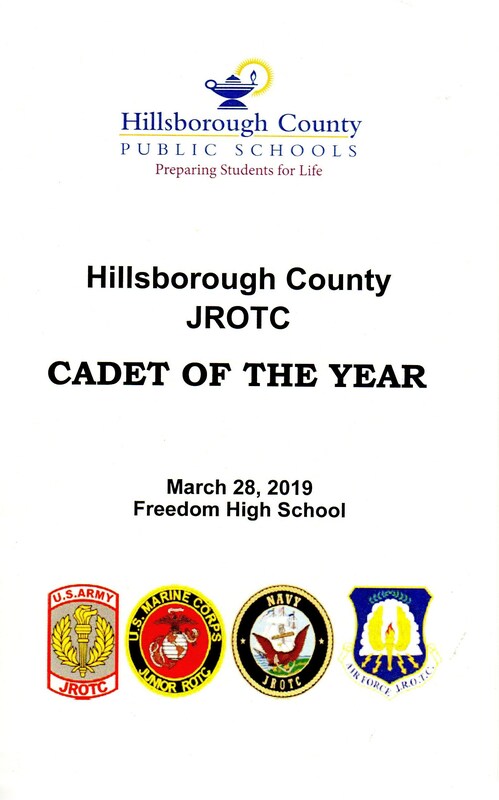 Ten top cadets were selected, C/LTC Rayna Drigo(Brandon High School), C/Capt Chi B. 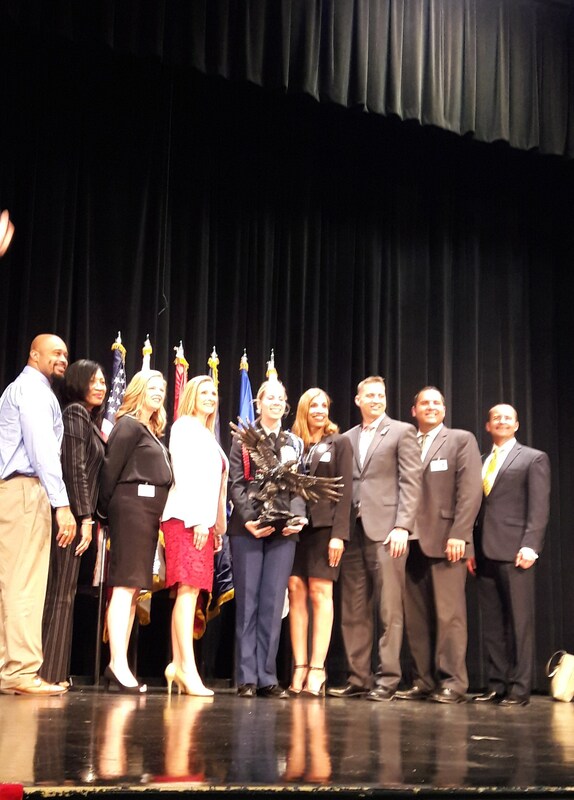 VU(Chamberlain High School), C/Lt Col Jackson Smith(Durant High School), C/CDR Jason Dodson(Gaither High School), C/Ensign Dalila Estopinan(Leto high School), C/MAJ Katherine Metheny(Newsome High School), C/Lt Col Annahlia Hernandez(Plant High School), C/Col Alexandra Bennion(Sickles High School) and C/LTC Valeria N. Carrasquillo(Steinbrenner High School). Each cadet brought unique and extraordinary talents and skills, many with outstanding academic records. All were the best of the best! COL Samuel Taylor, Hillsborough County Director of Army Instruction, was the emcee and opened the ceremony with welcome remarks. Key note speaker was Admiral Charles D. Michel, US Coast Guard, retired, who also attended high school in Brandon. His father was in the audience. It was a joy and blessing to see the pride on the faces of these cadets’ parents. 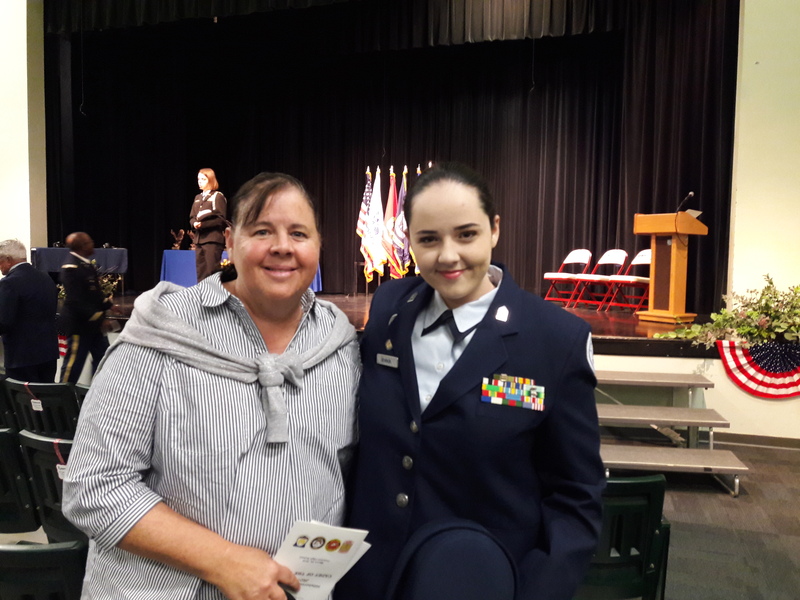 The 2019 Cadet of the Year was awarded to C/MAJ Katherine Metheny of Newsome High School. Congratulations to Katherine. A reception catered by Mission BBQ was enjoyed by all following the outstanding ceremony.